Our team of industry experts can help to design a budget friendly package to suit your specific location. If you don’t have a location, call us to see if we can help find one for you. 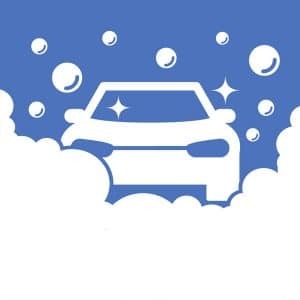 Already have a Car Wash needing Repairs and Maintenance? Our experienced Service Department can repair and update most brands of equipment in our mobile service vehicles from our Tri-State centrally located Main Office. Ever wonder if you can put that eye catching new piece of equipment into your existing location? Have you seen the vacuums that have lighted covered canopies? There are a lot of new features we can recommend to Retrofit into your Car Wash for Customer Appeal. Want a Low Cost, Highly Effective Product to use at your location? Our line of Products will be perfect for your Full Service, Self Service, or In-Bay Automatic Car Wash. Call us for all your needs from washing towels to Hydraulic Fluids, we have it all. We will never charge you a shipping charge with fast delivery. Your Business is a big investment and we have been around the longest. Knowledge comes with experience. in the Northeast and Metropolitan Area. Since 1932 the A.E. Styles heritage is one of the vehicle wash industry’s oldest and most established manufacturers of advanced automotive cleaning and appearance products. As pioneers in the chemical field we have the knowledge and insight into changing products and market conditions. Our Experience gives us the ability to provide our customers with over 80 years of sound business advice, competitive products, and industry expertise. Because we consider our customers “Associates”, we offer you products and programs to maximize your management skills, as well as your return on investment. Our methods allow you the opportunity to make your business life easier. © AE Styles 2017. All Rights Reserved.